The Sagittarius Full Moon falls May 29th 3.20 Pm (GMT) at 8º of the zodiac sign. The sun is shining brightly in the chatty Gemini area of the skies (astrologically speaking), brightly reflecting its light on the moon in opposite sign Sagittarius. Elsewhere, a grand water trine is sparkling, made up of Venus in Cancer (11º), Jupiter in Scorpio (15º) and Neptune in Pisces (16º). Though the moon is coming to fruition in an important area of ones life, another theme glimmers. Mercury is teetering at the last degree of Taurus, ready to join the sun in Gemini, while Mars is lending his support from air sign Aquarius. But the moon is alone. Sagittarius is the sign that’s had Saturn traversing its land (December 23, 2014 to December 20, 2017), as always, a tough three year stint of gruelling efforts and hard work. I believe that this full moon presents a moment of appreciation for all the graft that’s been accomplished, and presents a moment to reflect on the themes that will be prevalent in 2019, when Jupiter sails through Sagittarius, 9th November 2018 till 3 December 2019. With your knowledge and travel zone emphasised, wisdom you’ve gleaned can be demonstrated now, Aries. Shine a torch on a special venture you embarked upon and be ready to speak your truth! Put a special friend or collaborator first on this day of unions, Gemini. Your relationships are spotlighted by this full moon! It’s a busy day, and time to show off your accomplishments in everyday matters, Moonbabe, as your work, health and routine schedule is emphasised. Celebrate work today. Your sense of security and home foundations are emphasized now. Look to family, home, your sense of stability and the nest you’ve build around you Virgo. Connect to extra special acquaintances, leveraging skills you’ve honed, Libra. 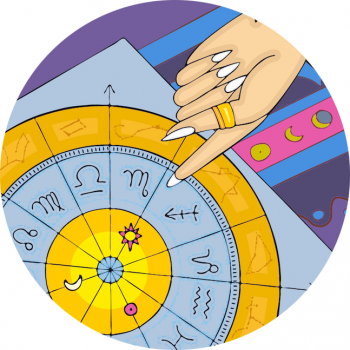 Scorpio, a financial, job or income matter can come full circle for you now. Count your blessings in your purse or in the job you’re competent in. Sagittarius, the spotlight’s on you and your personal growth! Step into the light and appreciate your body, and personal accomplishments. Surrender! The spotlight of the full moon rests in your closure zone, emphasising a journey you’ve taken towards transition and new responsibilities. With the moon blossoming in the area of your horoscope connected to friendship circles, your company, clan or community, look towards those in your social scene who are in the light and worth being grateful for. With the moon full in your tenth house of fame, accolades and career, put your worldly achievements into the fore; show your successes, Pisces. 1. Use A PaintBox OF COLOR That Pops! Full moon’s are the peak of the lunar cycle – a time to celebrate! The full moon often ties in with a moment of joy and excitement, a time to be grateful! With the moon blossoming in Sagittarius’ sign be full of hope, optimism and enJOY. Show your enthusiasm with bold color a la Sagittarius Miley. After three years hard work (Saturn in Sagittarius, December 23, 2014 to December 20, 2017) we’ve finally reached a place of status and confidence in the area ruled by Sagittarius. 3. Toss Your Horses Mane! Along with your Sagittarius stride, toss your mane in a powerful ponytail. Did you know that this style of hair is totally Sagittarius? Read more here. With 2019 ushering in Jupiter in Sagittarius it’s an awesome time to put consideration towards what you’d like to grow next year… Reflect on how hard you’ve worked and look to the future! Jupiter enters Sagittarius 9th November 2018 and stays till 3 December 2019. How will YOU celebrate the full moon in Sagittarius Stargazer? Let me know in the comments below!